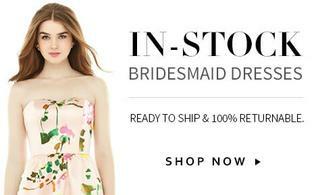 Comfort and style align with the elegant profile of this V-neck lux chiffon bridesmaid dress. Gathering yields a stylish blouson bodice and slightly shirred skirt, offering plenty of room to move. Delicate spaghetti straps enhance its romantic silhouette.